But Licorice also contains compounds that mimic estrogen. 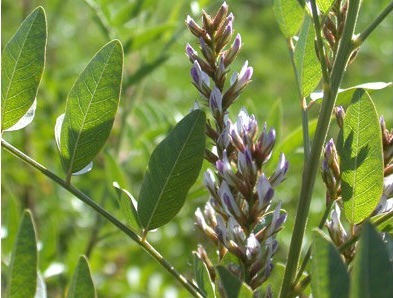 Specifically found in the root of the plant (which is where the flavor usually comes from, as well) the isoflavonoids glabrene and glabridin can act like estrogen in the body, making licorice an effective herb for both menopause and menstrual cramps. For this reason it is recommended to abstain from licorice while pregnant as it has been known to induce uterine contractions in large doses (but those doses can vary from person to person). It also makes an effective shampoo for people with excessive oily hair and a great astringent for oily and acne prone skin. The tonic, when applied to the scalp or skin, decreases the production of sebum. But, in America at least, the most common use of licorice is as a flavoring agent in cigarette tobacco. The American blend of tobacco employees licorice to provide sweetness to products without being easily identified as licorice by the consumer. In smoking tobacco, the licorice additive works as a bronchodilator which opens the lungs to while smoking. When added to chewing tobacco the licorice is used to impart a sweeter flavor. In both, the addition of licorice helps to reduce the drymouth and sore throat that can result from tobacco use. And because her name is also Sarah and because she drew an awesome licorice fact sheet: here is a shout out to comic Sarah Becan. Click the image to check out her work!